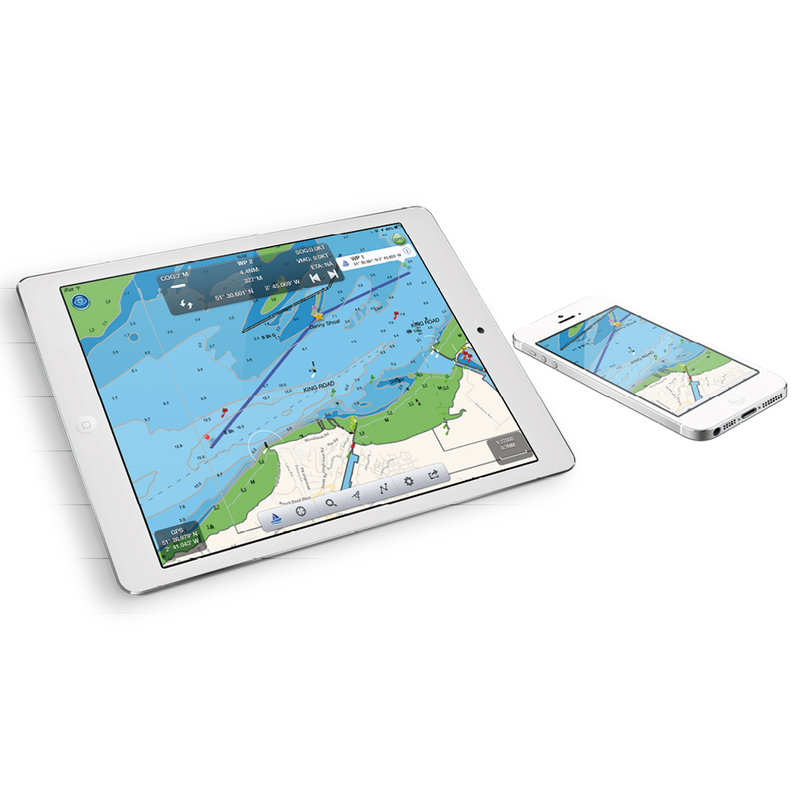 NavLink is a low cost marine navigation app designed for use with an iPhone or iPad. It transforms your iPad into a full function chart plotter with detailed electronic charts and an overlay of your boat’s position, track and heading. It’s purchased through the Apple app store and includes detailed Admiralty UKHO charts covering the whole of the UK & Eire. 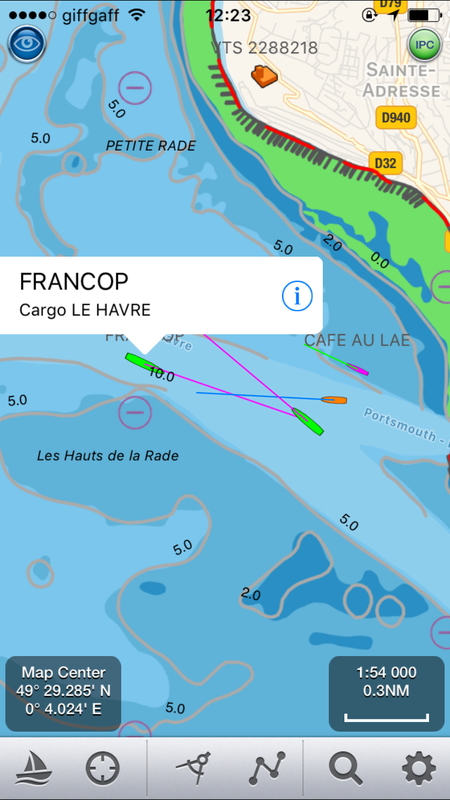 Additional USA (S57 NOAA), French, Benelux, German and Danish charts can be added via an In-App Purchase. The NOAA S57 charts cover the whole of the US. 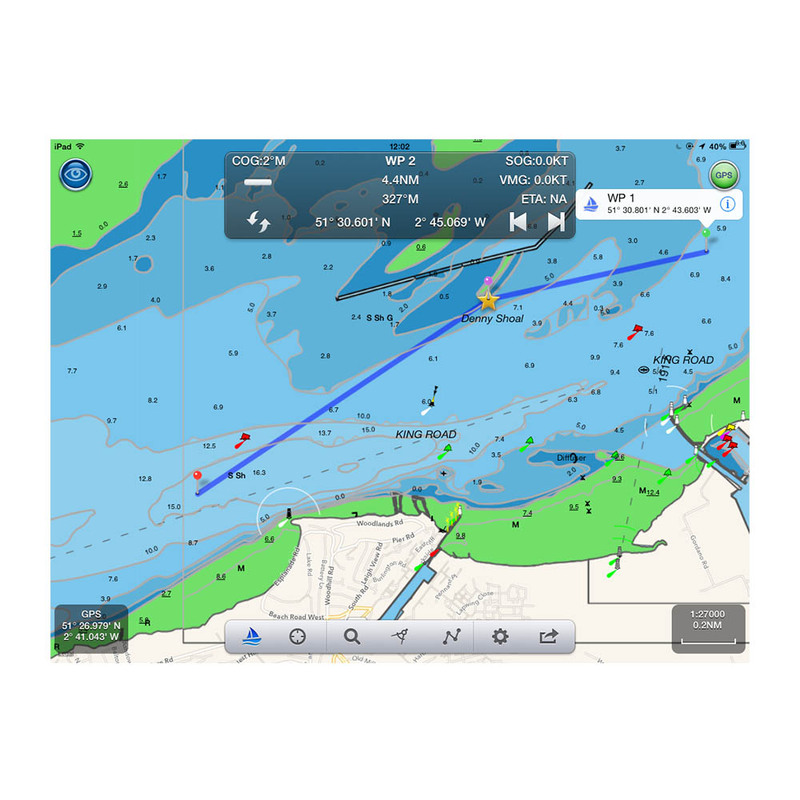 Charts can be presented north up or course up and routes and waypoints are created and edited using a simple touch screen interface. 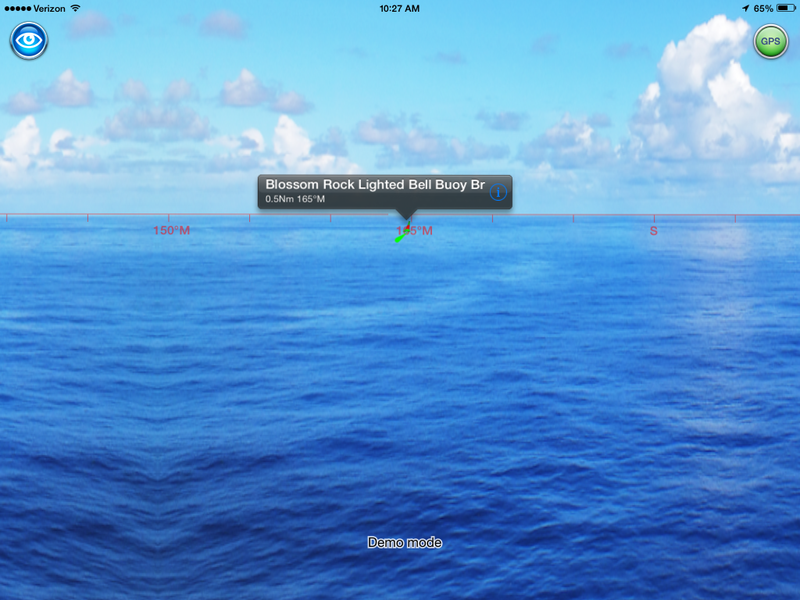 Real time navigation shows your current position, track, course, speed, ETA, VMG, bearing and distance to next waypoint. 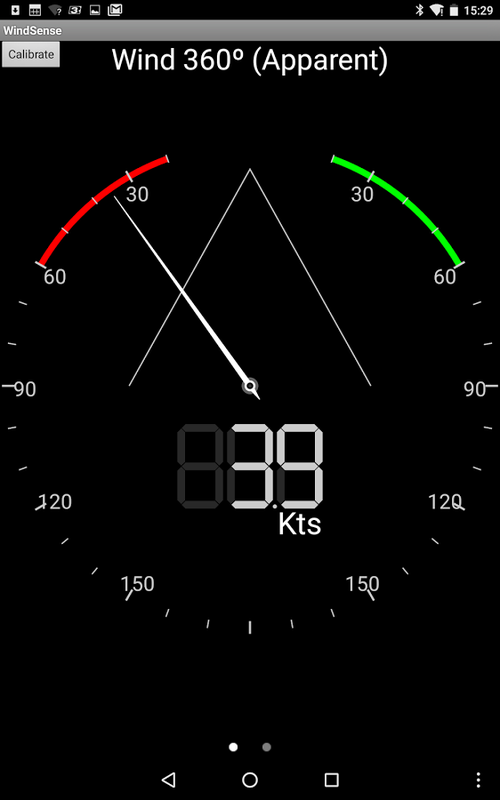 There’s a simple A-B chart ruler too and you can tap on an object such as a buoy or nav-aid and get a pop up data window of its characteristics. 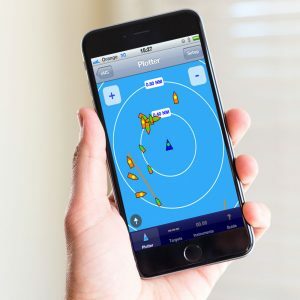 Current weather data and local conditions can be downloaded from weather buoys (internet connection required) which is great for last minute local weather before setting off on a voyage. The S57 Admiralty UKHO charts are vector based so data can be layered and enabled / disabled by the user allowing charts to be de-cluttered as appropriate. 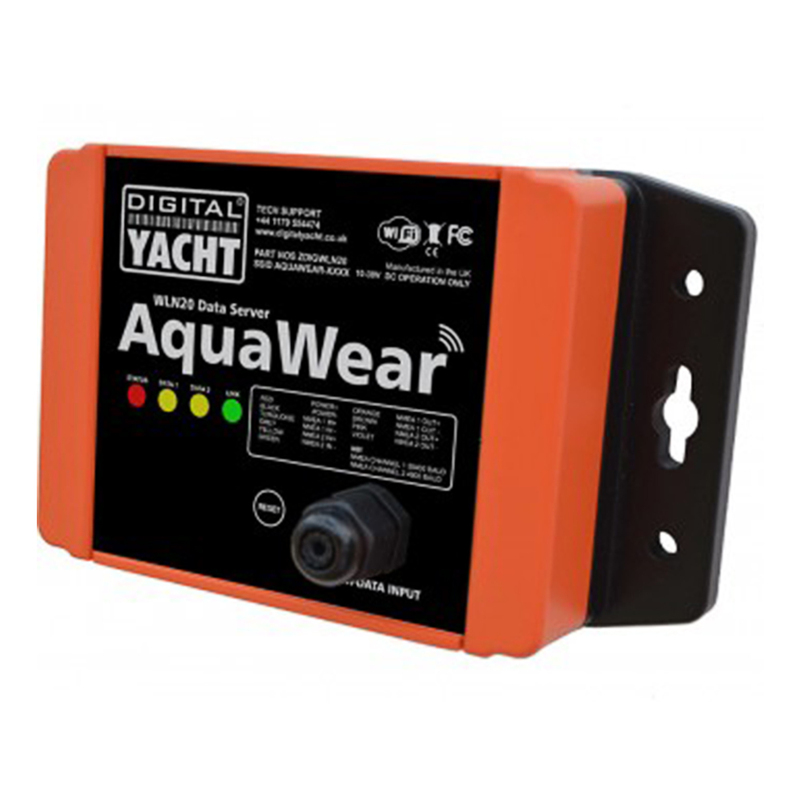 NavLink also helps with your watch keeping and lookouts. 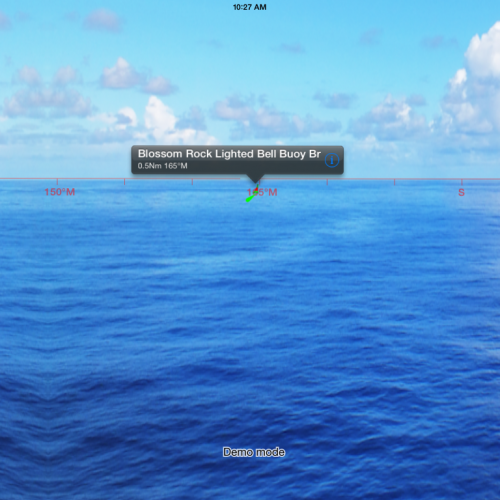 In HorizonView mode, you can use the camera on the iPhone/iPad to scan the horizon. You’ll get an overlay on the camera screen of nav-aids, AIS targets and waypoints which serves as a great visualisation aid. 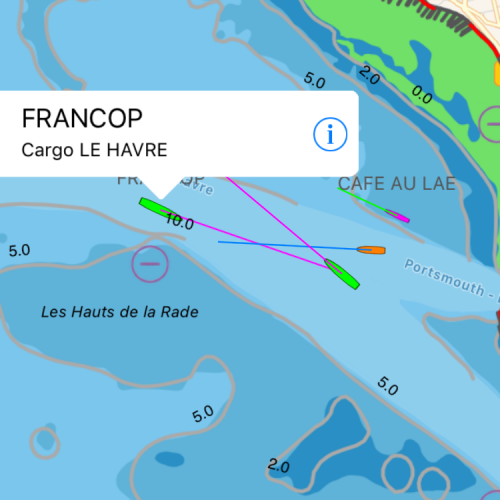 You can download a document which explains this marine navigation app by clicking here.